Sometimes having a bit of insomnia is a good thing…especially if you find a perfect recipe. It’s a great video, but the music drove me crazy, too perky for the middle of the night. I loved the ingredient list and the ease of putting the chowder together; I made a pot of it within a week of viewing the video. 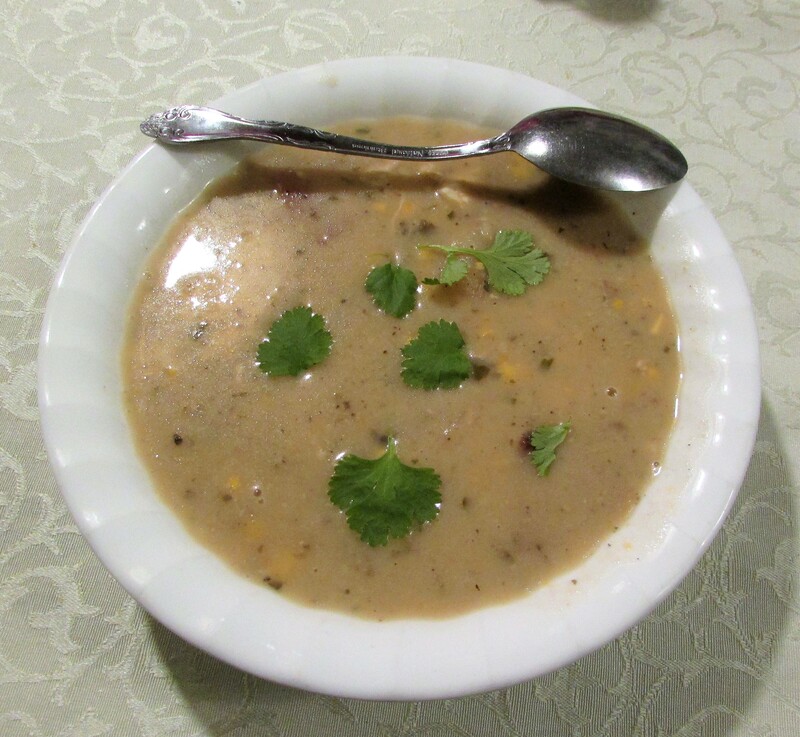 The recipe can be found here: Slow Cooker Chicken Corn Chowder. I changed a few things (I always do) to use what I had on hand. I used fresh basil and substituted 1 tsp. dried Italian herbs and 1 tsp dried parsley for the thyme. I also rarely use heavy cream in recipes if I can substitute whole milk with a little butter. I splurged on some organic red new potatoes; I wanted the peels to be free of chemicals of all kinds. I cooked the soup in the slow cooker on the high setting for 4 hours, and only blended a ladle or two of potatoes and corn at the end of the cooking time, leaving the chicken entirely out of that step. (Something about chicken in a blender revolts me. 😒 Ugh!) I also halved the recipe since it only needed to serve two people. This recipe is easy, delicious, and nutritious. Deliciousness even to look at it. Can imagine the two of you blowing out the hot steam and eating the chowder. It is delicious Susie! I loved every bite.